Serverless is just one of the latest terms to have joined the host of other buzzwords within the tech community. However, the interest and curiosity surrounding it is also followed by uncertainty and concerns. In today’s blog, we’re tackling what you and may not know about serverless infrastructure. Contrary to its name, serverless infrastructure does, in fact, require the use of a server while it does abstract the underlying infrastructure away from the developer’s servers. Where it differs from other more traditional models is that with serverless, the provider is the one responsible for dynamically allocating the necessary resources and executing code that is normally in the form of a function. Since the concept of serverless is that the provider manages the servers, the investment made by DevOps can be scaled down, enabling them to dedicate their time elsewhere, application expansion for example. Additionally, serverless offers a different billing method involving charges for the server space used. Depending on the length of the code being run, this payment plan can improve cost savings. Serverless also scales automatically making it capable of handling unusually high numbers of requests. Quick deployments are another feature of serverless infrastructures. Due to there being no required back-end configuration, pieces of code can be input quickly resulting in a faster release of a new product. This speed to deployment also makes it feasible to update, patch and add new features to an application. Latency is also an area where serverless can have an impact. Since the code doesn’t have to travel to an origin server, it is run closer to the end user, resulting in any latency that may have been experienced being reduced. The action of testing and debugging becomes more challenging with serverless. This is because replicating the serverless environment is a difficult task, making it harder to confirm how code will act upon deployment. Additionally, developers don’t have access to the backend limiting their visibility during the debugging process. Serverless also stirs up security concerns partially due to its multi-tenancy nature. At any time, one server will be running code from multiple companies which could result in data exposure. For more information on cloud security and multi-tenancy, check out this blog! The cost-effectiveness of serverless is rather limited as well. As mentioned above, the cost savings really depends on the length of the code as the architecture and billing model of serverless isn’t made for long running processes. Due to the fact that it isn’t constantly running, serverless can have a negative effect on performance. This time that it takes to start up can diminish performance and is termed a “cold start”. Vendor lock-in as another possibility of serverless as a single provider is supplying all of the backend services. This not only leads to a reliance on the vendor but also increases the difficulty of switching later on as it’s likely that each provider has different features. As a proud contributor and user of OpenStack, VEXXHOST not only understands the issues that stem from vendor lock-in but ensures that it’s something our clients never have to deal with. While serverless infrastructure can be beneficial, it doesn’t lend itself to just any use cases. 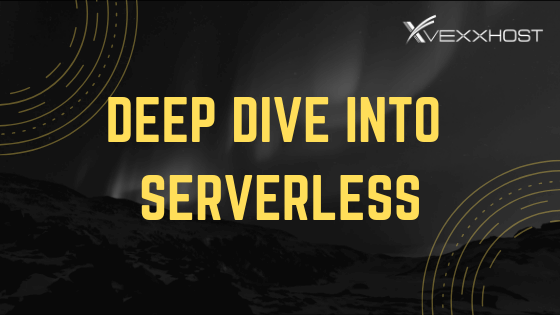 Those who stand to benefit from serverless build flexible, lightweight applications and are focused on their speed to market time in addition to reducing spend for their fluctuating usage. However, those with consistent workloads, large applications and specific security legislation to abide by will have more success with a traditional setup. Still unsure of the deployment model and infrastructure that’s right for you? With our consulting service VEXXHOST leverages its considerable experience as a means of guiding companies through the complexities of cloud computing. Contact us for more information!